Practice makes perfect in anything you do, but then why do equestrians push themselves so hard and give themselves little credit? The truth is, I encourage those women to give it another go. While it isn’t for everyone I faced my fears and rekindled my passion. Not everyone will agree. Our passion for horses can be complicated. Just because you love something doesn’t mean that you can afford it, have the time, or willingness to devote to a horse. Because when you have a horse, you have to devote time and finances. Most importantly, to my mind, you have become persistent. 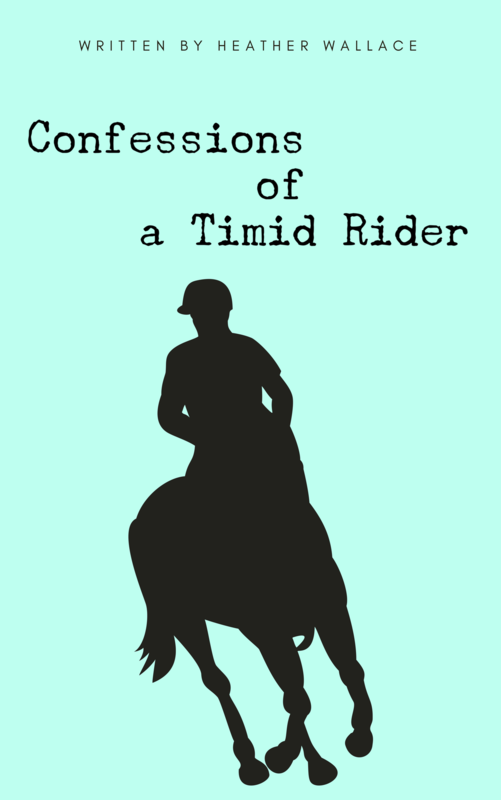 Over the years I’ve had bad habits in the saddle and out, which I will list for you below. Bringing my tension from home or work to the barn. Not keeping my heels down. Not trusting myself or my horse. Not pushing myself or my horse enough. I have bad habits I’m working on breaking, some of which I already have (mostly). But, I also have a number of good habits that I would like to share. Recognizing stiffness or mood, and adjusting my ride to work with or accommodate it. Doing an exercise even when nervous. Feeling my horse and when we do something correctly. You may notice some items appear in both lists. That is because habits are fluid, and with horses, circumstances change from day-to-day. While some days I’m in the zone and full of confidence, other days my horse has more confidence than I do. Every day is different. Having my own horse means that I ride more often and practice my skills, trying to improve my bad habits and turn them into good ones. But without a trainer and regular lessons, sometimes a rider can unknowingly create bad habits in themselves or their horses. It is imperative to have lessons at least occasionally to serve as another eye. After all, even Olympic riders like eventer, Boyd Martin and showjumper, McLain Ward have trainers. If it is good enough for them, it should be good enough for you. As a result, I try not to focus on the bad habits. Instead, I think to myself, “What should I do differently?” Often, a trainer will have the answer. What is your riding habit?